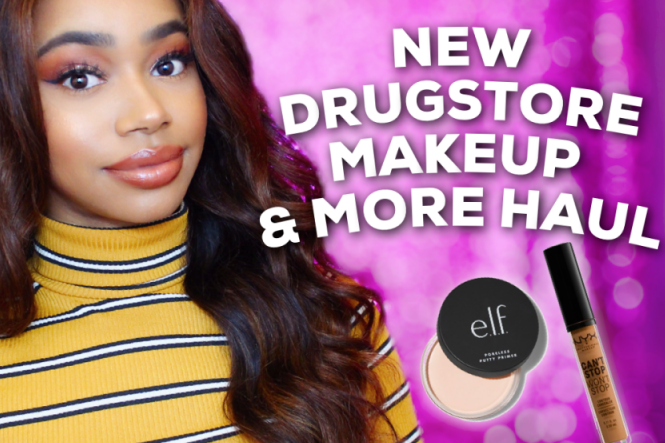 I recently tried the Dermablend Flawless Creator foundation and I was blown away with the results! It is a light-weight foundation that provides full coverage. This foundation is currently available in 20 shades. I do hope they extend their shade range in the future though. 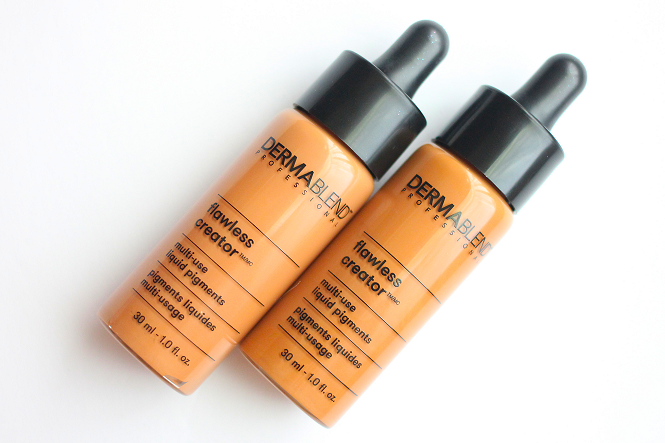 Dermablend Flawless Creator Foundation features a unique dropper applicator. This allows you to build up your coverage to your preference. One drop will provide you with minimal coverage and four drops will provide you will maximum coverage. You're also able to use or mix this with your skin care. You can customize the foundation with an oil, serum, sunscreen, and moisturizers for a customized finish or tint. Dermablend Flawless Creator in the shades 50W and 60N. Description: Coverage just got a makeover. Meet Dermablend's best lightweight foundation: Flawless Creator with 33% concentrated pigments for weightless, customizable coverage anyone can wear, in any way. This water-free, oil-free foundation has a unique, silky texture that's customizable, buildable and blendable. With less than 9 ingredients, you get pigments at their purest: a little goes a long way. Watch the video to see my first impressions of the Dermablend Flawless Creator foundation! 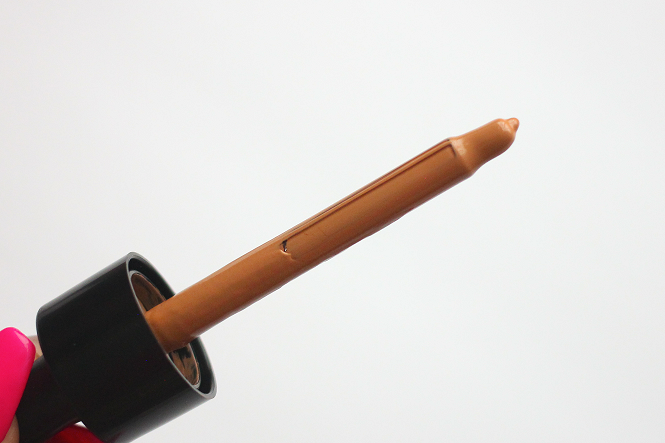 The dropper applicator featured with the Flawless Creator foundation. 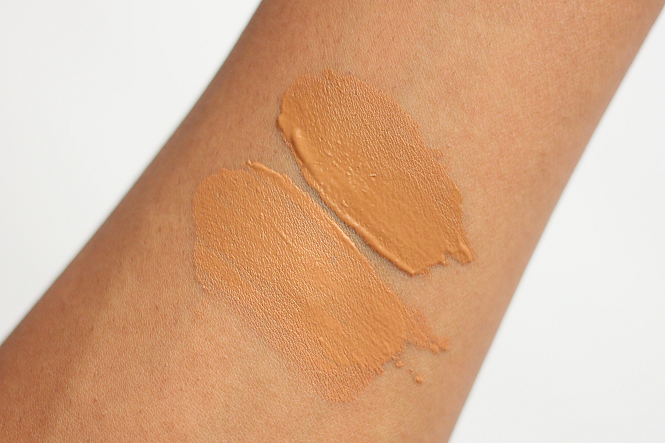 Swatches of the Dermablend Flawless Creator foundation in 50W and 60N. Makeup Tip: If you use the foundation along with the Dermablend Setting Loose Powder then you're able to get a smudge-free, transfer-resistant finish. It's also suppose to help your foundation last up to 16 hours.